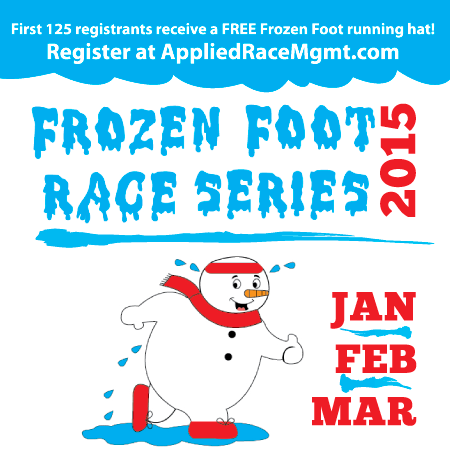 Register now for the 2015 Frozen Foot Race Series! The first 125 registrants will receive a free FF running hat. We are about halfway there already, so register fast!